His Excellency Abdul Samad Afghan , The Afghan Consul General in Dubai, UAE. Mr. Abdul Samad Afghan has been doing his best to mobilize Dubai based business communities to invest in Afghanistan. 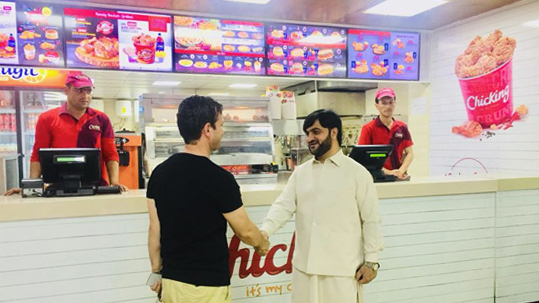 He always appreciates the investment in Afghanistan and praised Chicking Afghanistan management & staff for implementing all the food health policies.